135. Geological position, Upper Coal Measures. Localities, Kansas City, Missouri, Nebraska City, Nebraska. Reference. 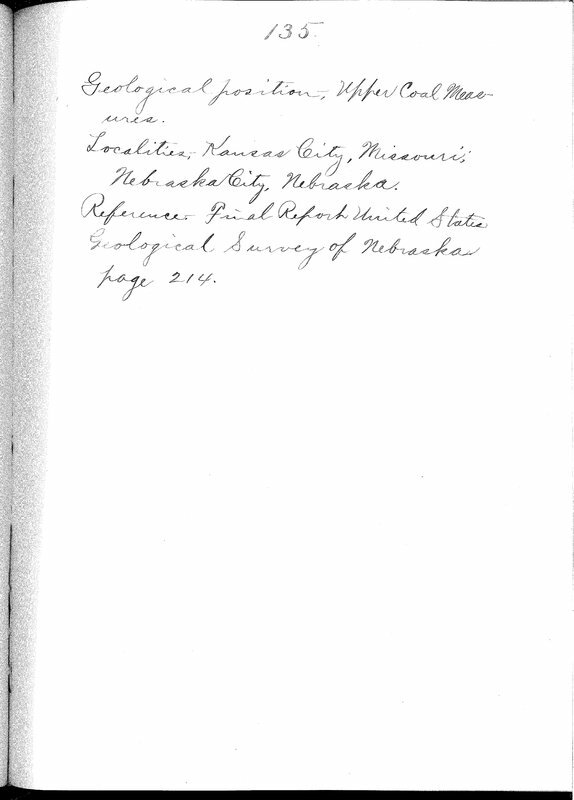 Final Report United States Geological Survey of Nebraska page 214.